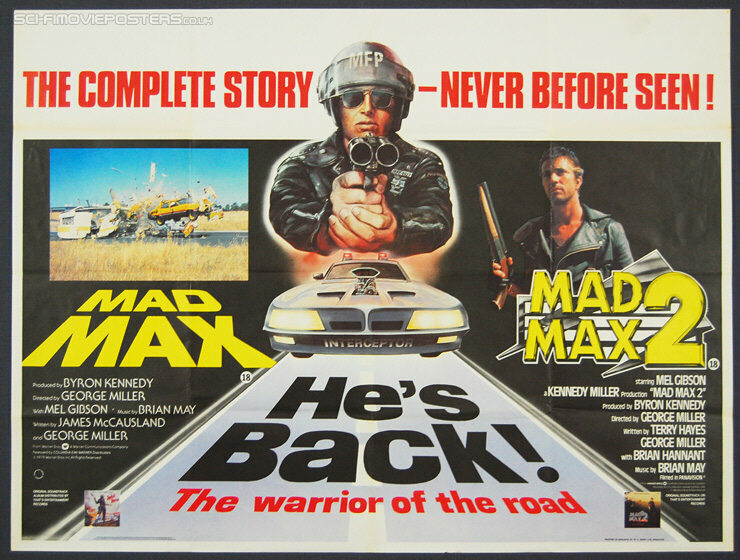 Mad Max (1979) + Mad Max 2 (1981) - Double Bill. Original British Quad Movie Poster. 30" x 40" Single sided.